Over the period of 23 days, from March 27th to April 17th, I logged 7250mi on my Toyota from San Diego to New York and back, held 9 workshops along the way in as many states, plus did a two-day shoot at an NYC event in the middle of the trip. If I was to go into all details and sights of this experience, it would make for a really, really long blog post, thus I shall concentrate on major bullet points, illustrate them plentifully, and surely won’t be able to resist indulging in a few of more colorful tangents. I’m going to bundle images together and try my best to put descriptions under them, but this entry not going to be as detailed as some of my previous posts. A couple of months ago, an invitation came to me from the Daguerrean Society to have a tintype booth at one of their collector-oriented events in NYC on April 7-8th. As some of my readers may know, I have been known to produce a daguerreotype or two, and so the prospect of not only shooting at the event, but also meeting some of my personal heroes in the small world of artists who work with that medium, was very appealing. I decided to plan a little journey around this. Since pretty much everything is on the way while driving from southern CA to NYC, put out a call for people who would be interested in having a collodion workshop at their locations. After some weeks of planning, which was as analog as I could make it, involving sticky notes upon a wall-hanging map of US, a winding route was mapped out and dates were secured with deposits for workshops paid. 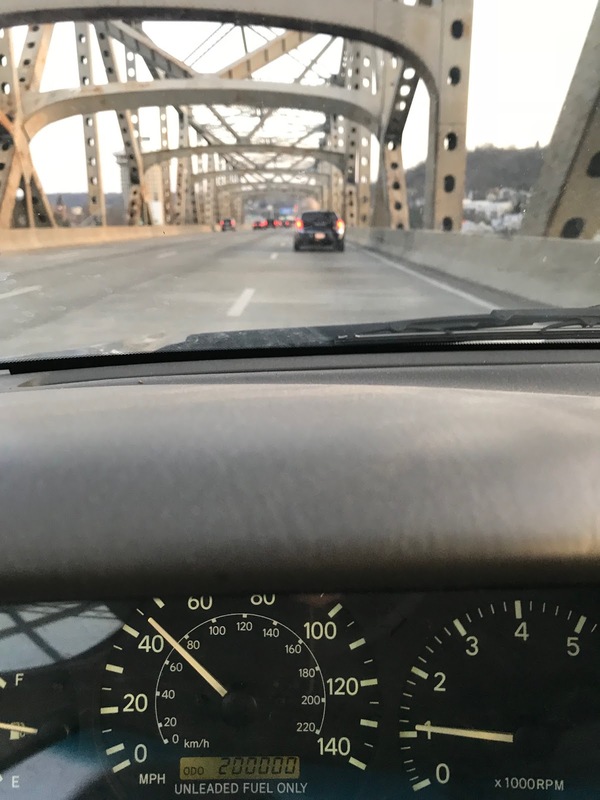 At that point there was no turning back, so on Sunday, March 25th I cleared out the trunk of my trusty ‘98 Camry with the intent to pack and take off in early afternoon if possible. The next 45 or so hours, I think deserve a more detailed look. By 9am Monday morning I was in downtown at a jewelry supply shop, buying a bottle of Silver Black solution since I just ran out of mine and had 3 workshops ahead involving making wet plate negatives. After that it took quite some time to go through the check list of things that had to be packed: chemistry and lab-ware (both mixed and a full set of small amounts of dry, just in case), cameras (4x5 and stereoscopic), lighting (since I’d have to shoot with strobes in NYC), plates, glass, artwork, living essentials, etc. All that made a significant pile in front of the studio door and, at one point I was incredulous of it all fitting in a midsize car in any workable manner, but, after years of playing Tetris as a kid, never truly lost faith. Since the farthest point of the trip was to be among people in the world of daguerreoypes, some of whom appreciate this noble technique as much as I do, I thought that it would make for a good omen to create a plate as the last thing before starting to really pack the car. Race Gentry, my local daguerrean and wet plate friend, came by the darkroom for moral support and after a few months break I once again fired up the developing box. I usually let inspiration come naturally as to the subject of my compositions and so it was this time as well. A few quick quips between Race and I sparked an idea of making a copy plate of one of the two drawings I made in 2015. Normally I don’t draw, but I was compelled to make those two works and actually made quite a few preliminary sketches in order to get my skill with ink up to my own acceptable standards, however high or low that point may be set. Luckily in my darkroom I have a high-quality 11x14in copy of what originally is a 7x9in or so drawing. 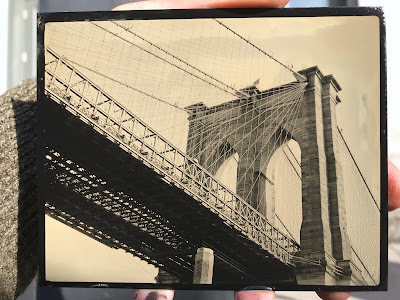 There is quite a bit of text in there, which presented a small technical challenge, since in order for it to show up in correct left to right orientation on a daguerreotype, I would have to shoot it through a mirror. Having not fumed a plate in a few months and also never having copied anything via daguerreotype method, my confidence level for the very first attempt being successful was not soaring. I gave it an honest try though and made a 4-pop exposure even though my bromine acted much too quick and I pretty much over-fumed the plate to the point of steel blue. To my amazement, at the 3-min check mark during development, I saw a very satisfactory image. After giving it the full 5min in mercury, I decided to make one more plate as backup in case something went wrong with gilding; that part of the process is still nerve wrecking to me because a great image can be brought to ruin in a matter of only few short seconds due to heat or some chemical reactions creating unsightly spots and marks. Luckily the first plate gilded really well as it was actually the better of the two, and so here it is sealed under glass with modern mat. It's a 1/4 plate size, by the way. By the time Race left it was getting dark. The sun set behind horizon about 15-20min before I walked him out to the car and while saying our goodbyes we saw a peculiar optical phenomenon of cloud iridescence in the sky. I’m always happy when seeing a rainbow and have seen some very spectacular ones, including some produced by snow and fog, and a few that were so bright that they looked over-saturated in Photoshop. 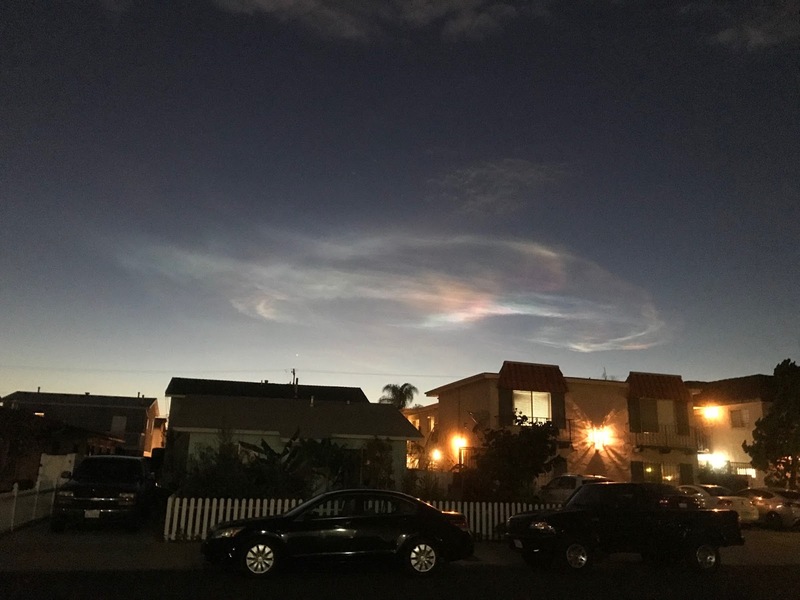 I have also seen quite a few instances of iridescence, when the light refracts through ice crystals within clouds to make them turn rainbow colors, sometimes in usual linear and sometimes in very abstract manner. 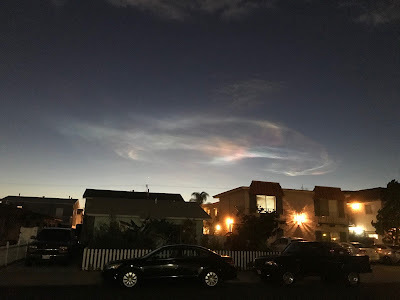 I’ve always considered them a good sign, never seen it this late after sunset though and so it buoyed my spirits. After that I started packing. At some point my girlfriend came by to see me take off and she was actually very helpful in keeping my head from exploding when I was trying to not forget anything. By the time it seemed that half of my possessions are the car and we said our goodbyes it was about 5min till midnight. I wanted to make it at least past Los Angeles and so I drove to a local 24-hr coffee shop for a shot of something especially strong. I explained my predicament of wanting to make it as close to Colorado (my first workshop destination) as possible and was given an iced drink called Hammer Head, which I was told was the go-to in these kinds of moments. I drink coffee on regular basis, in fact I usually consume one medium cup (medium or dark roast) per day, sometimes more, but almost never less. By now I have developed a slight immunity to caffeine – I can make it wake me up, but I can also fall asleep without too much trouble after drinking 1/3 of my daily cup. This stuff though was something else. I filled up the gas and got on the highway in San Diego about 15min past midnight. I drank about a quarter of the chilled elixir bestowed upon me by a friendly barista and I felt as if I was floating in a semi-outer-body experience of ultra-awareness. Sleep was a concept as foreign as java script, and I found myself switching route plan on the fly and deciding to head for Monument Valley in Utah (690 miles), instead of passing it to the west via Las Vegas. By morning I was in Flagstaff and, upon realizing I forgot to bring any cash at all, stopped at a bank. There I found that my transfer has not gone through yet and I couldn’t take anything out, which wasn’t that big of a deal, since I could of course use a card, but I prefer to at least have some hard cash in hand. Unbeknown to me, another lucky coincidence was waiting for me around the corner. On the small desert highways winding its way through Native American reservations I saw one hitchhiker after another; walking down long stretches of nothingness and holding up a thumbs in hopes of a quicker trip. While the first few didn’t instill confidence in me, the feeling I got when I zoomed past the next lonely pedestrian made me turn around and pick him up. He was a young Navajo man, walking into town to restock on tobacco and drinks. On a 5-mile ride in he revealed to me that actually he is a tour guide and his uncle has a stand next to a prehistoric archeological site, where imprints left by the feet of dinosaurs were perfectly preserved in ancient mud turned rock. That sounded like a perfect first location to shoot at, so I gave him a ride back. I set up my dark box on one of the tables inside his uncle’s typical cobbled wooden overhang of a jewelry stand, that way the howling wind, which would go on to make photographic matters difficult for me all through the journey, wouldn’t topple my wares. By the time I got done with the first plate, his uncle returned from a run home and saw what was happening. To my delight, he got very excited about my presence and work, and proceeded to request a duplicate of the image of two imprints you see below, paying me with much-needed cash. His plan was to scan it and make postcards to sell at his location, and, even though technically it was my image and in theory all sort of copy rights would have to be released and paid for, I left all those legal matters be, and hope that those card sales will be good for him and his family. Through the day I kept sipping the leftovers of the highly-caffeinated Hammer Head and shooting at various locations in and around Monument Valley. I had to do the classic ‘looking down the road’ shot that this location is known for and really wanted to nail it well, so did 2 similar plates of that. Second plate came out more to my liking and I moved the camera in place for more exposures. While washing the plates though a gust of wind (which was bad enough for me to have to put my developing box on the ground and lean it against the car on the downwind side) yanked the best of the two road plates out or my fingers and planed it squarely face-down in the red clay-like dirt below my feet. This doesn’t happen often and is always a heart-stopping moment. I picked up the plate and found that quite a bit of material has imbedded itself into still-wet collodion layer. There was no salvaging the plate in any clean manner, and so I decided to leave it as is and have it be my first mixed media tintype, incorporating some of the elements from the location at which it was shot. Below are the plates made through the day. By the time I was exposing the last plate at Mexican Hat Rock location it was past 7om and the sun was literally touching the horizon, so a 12 second exposure was required at f11. Collodion fairies decided to be kind to me and paused the wind for just those seconds. I cleaned up, took one last sip of Hammer Head and drove another two hours to Durango, Colorado, where I finally found a hotel to rest after a tumultuous 45 initial hours of my adventure. To at least somewhat keep the promise of brevity made in the first paragraph of this entry, I’ll condense all of the workshops into one section and address that now, rather than speaking of each individual one through the timeline. As I mentioned above, 3 of the 9 were concentrated on making wet plate negatives, and the rest were beginner level. All of the workshops went off almost without a single hitch, aside from an occasional inexplicable chemical stain here and there or a bit of fog, which showed up once, even though during the first part of that particular workshop plates were coming out perfectly fine with all the same chemistry. I always enjoy teaching, meeting new people and also seeing the tremendous variety of spaces that people work in. During this trip, I’ve worked in darkrooms as official as one at a college (which was left-over from the days when journalism department needed a darkroom for their newspaper and which had an awesome 3-way rotating light-tight door to go between wet, dry, and editing sides), to spaces multiple bathroom-darkrooms and even one set up in a nice spacious basement of 100+ year old a Missouri home. All beginning students did great technique-wise and I hope we will soon see the emergence of some excellent new artist working with wet plate. I’m now planning a late summer/early fall trip with the bus, so if anyone reading this is interested in setting up something in terms of workshops, demos, or portraits in either wet plate or daguerreotype techniques, please feel free to get in touch. After Salida it was on to Nebraska, and I had to drive over two mountain passes that were over 13.000ft each. Views there are truly inspiring, with snow-covered peaks towering up around each bend of the road and clouds skimming their tips. On the backside of one of those summits there was a small town, where I noticed an idyllic scene - a sizable collection of vintage trucks, lined up neatly in rows and partly covered with snow. I couldn’t help stopping, but upon getting out of the car immediately realized that this is going to be a tough shoot. The wind was fierce and, even though it was sunny, temperature felt well below freezing. I bundled up a bit and set my box up on the ground, leaning against the front bumper of the car as that was the downwind side. I don’t think I’ve ever before moved with such speed and precision while setting up, but that was feeble help in the effort to keep warm and soon I was freezing. Clouds were moving fast and closely above me, so by the time there was a plate in the silver and camera was trained upon the scene it started to snow lightly. Developing was difficult because the wind made the right side of my face burn with cold and that made the eyes water up as my face was in the dark-box mask… First plate though turned out to my liking however (never minding the spot on top and right edges), and so I decided to push for another one. When I walked over to the camera with second plate in hand it was really snowing. I waited a few minutes and when it let off a bit made the exposure. When I was washing plates by pouring water on them from a squirt bottle in my usual manner, I saw short icicles forming on my latex gloves. That was the coldest weather I’ve shot in so far. In South Dakota, while shooting the scene with smoke stack and clouds, it was also brutally cold and windy. I tried to remove the gloves, hoping that the heat from my hands will warm up the wash water, but instead the water just froze upon my fingers. In Wisconsin, while shooting the old cemetery, I got a little smarter and hid in the car while washing plates. When I came out to get the last plater from the tray where it was resting in water, I saw a thin layer of ice covering it. The whole time on the way to NYC, and in fact there as well, temperatures were unseasonably cold, with many places setting new record lows for that time of year. Cold and wind aren’t friends of collodion, and so some of the plates you’ll see below have a bit more artifacts than I like to see in my work, but I think they still stand, considering the weather and also the fact that these were all done on the fly during extremely brief stops as I’m zooming on toward my next workshop destination. My accommodations during the time of the event in NYC consisted of a lovely New Jersey summer home, owned by the person who invited me to shoot there in the first place. It’s an hour away from Manhattan – that is provided there’s no major traffic AND you know where you’re going when navigating a spider-web-like maze of New York city freeways and off-ramps. I got there a day early and wanted to shoot the Brooklyn Bridge as it was symbolic for me form the time my family was planning to move to US from Russia and even more so because the first place we lived in after the move was indeed Brooklyn. That first time making my way into the city from NJ it took me a good two and a half hours, it was Friday… Determination was high though and it became a mission to navigate the streets of Brooklyn in order to get as close to the actual bridge as possible. Finally, I found myself heading north on Furman street with bridge getting closer and closer. There was not even a hint of possible parking anywhere in sight until I rounded the corner to Old Fulton St., where, to my amazement, I saw two cars pulling away from their spots on Water Street – literally the closest parking spots in existence on the east side of the bridge (I didn’t check Manhattan side, sorry…). The very first plate below was made with tripod set up right by the car and has already been purchased by a native New Yorker with whom I was glad to finally meet in person the next day (which is why you see the iPhone copy of it only). The actual Daguerrean Society on Saturday and Sunday event went great as well. I had an assistant helping me to keep the plates organized and going through the wash and we both were busy from morning till close. I barely had a chance to peak into the main room where collectors and resellers were offering some choice vintage photography in any 19th century print medium as well as even some equipment. Should I get a chance to do one of these events again I will be sure to take a browsing-geared break. I can’t complain though because I got to make close to 50 plates, many of which were stereoscopic pairs, and they all came out great; the spot that persisted on my plates in cold windy shooting conditions didn’t show up once. Below are some examples of plates from that shoot. Saturday night I had a real pleasure of having dinner at Michael Lehr’s house with the two of the top daguerreotypists in the world – Jerry Spagnoli and Mike Robinson. Michael is also a top-tier collector of vintage images and daguerreotype-related articles, so I saw some amazing examples and for one brief moment held a camera with an experimental lens system made in Boston in the year 1840, about a year after invention of photography was announced to the public in France. On Monday after the even I once again headed into the city to walk around and relax, I also wanted to visit Geoffrey Berliner at Penumbra Foundation – an excellent facility with studios, workshops and much more. There, I once again was lucky enough to run into Mike Robinson as he was picking up some equipment. On the return portion of the trip the weather was a bit warmer and I was truly overjoyed when around Kentucky I started seeing fresh green leaves on trees and finally no snow banks were in sight. 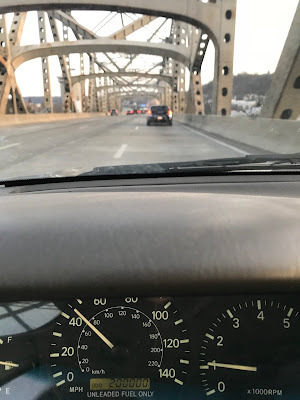 It was also right in the middle of the bridge over Ohio River between Cincinnati and Kentucky, that my car reached a nice little milestone in the life of a car – 200.000mi odometer mark! It being a Toyota though, that’s not a lot, I’m hoping to have the 300K and 400K shots on this blog sometime during future road trip adventures. 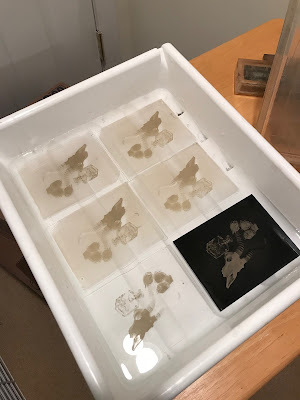 Before the workshop in Memphis, I stopped in Nashville and visited Gerald Figal, the benevolent overlord of one of the online collodion communities. Connor Franklin, a young lad who flew out last year to San Diego to take a workshop with yours truly, also made a 4-hr drive from Atlanta to meet up with us. It was great seeing Connor again and meeting Gerald was also very satisfying as he has achieved an almost mythical status online and confirming his existence in flesh was calming and centering. We decided to go shoot outside and Gerald, being the local, showed us to a park with a small ruin of an old mill perched on the banks of a mellow river. I made a plate of the gearing from old waterwheel and two of the river and was ready to start wrapping up, when Gerald, who was shooting on the bank about 50ft away signaled to Connor and I and yelled that there’s a neat snake that he spotted. We walked over and saw a long thin brown snake coiled up on a very thin twig-like branch of some shoreline plant. The sun was shining right onto it and the snake seemed to be very relaxed and so I decided to attempt to make a plate of it. My box was set up on a picnic table about 200 feet away and so there was a bit of running back and forth with plate holder in hand while trying to keep the plate from drying and also to make the shot happen before my model decided it had enough of sitting in one place. During the first exposure (1sec at f8) the snake decided to let out its tongue and wiggle it in their usual way while feeling the air for whatever they feel it for. I was rather astonished to see that the middle part of the tongue was apparently not moving enough to disappear completely and actually recoded very nicely. Inspired by that I dipped another plate in hopes for success again – the snake appeared to be almost frozen the entire time and the second plate came out to be almost identical to the first. By the time I was back there with the third plate though, my little friend was on the move; clinging to a single little twig in search of a new place to settle, this time the whole body was in the shade. I refocused my 4x5 on the fly and hoped that the wind wouldn’t move my subject during exposure (which this time was f5.6 at 2sec). I got lucky and the plate came out almost as sharp as the first two. All this running made me take my shirt off and of course Gerald documented that less than stellar moment on his Fuji advanced point and shoot 35mm…. sigh, that’s what I get for hanging out with documentary photographers. Another on-the-road episode I think deserves a quick story. Between Memphis and Joplin Missouri I drove on small state highways through endless fields of last year’s dry corn stalks as far as the eye can see. It was right around sunset and the clouds were becoming thicker the farther west I went. I stopped in some small town to get some gas and coffee and continued driving. Looking through local radio stations I heard a repeated and stern warning for the towns of Mountain Grove, Norwood and Hartville – residents and travelers there were advised to seek shelter immediately as a tornado warning has been placed in effect. That information was being repeated over and over and that made me wonder where those areas were. Looking at my location on the phone I realized that indeed I just filled up in Mountain Grove and was headed to Norwood, so straight into the area in question. It wasn’t raining at all though… I looked around – the sky ahead to the right was indeed ominously dark, and there was also a pretty grim-looking cloud to the left as well, but the road seemed to have been pointing right between those areas and people were still headed in that direction despite the warning, so I decided to push on. To be honest I was a bit nervous, but it wasn’t the tornado in the warning I kept hearing about that was my main concern; it was the large hail they said the system was capable of generating, up to a size of a baseball – that stuff will destroy anything, I’ve seen pictures… In a little while large drops of rain started to fall, but for a while they were spread far apart. Then, all of a sudden and with little actual increase time, it seemed like someone was continually dumping bucket after bucket of water directly onto the windshield. Visibility dropped to about 50ft and everyone slowed to 20mph and turned on their hazard lights. After a few miles, the downpour stopped as suddenly as it began and within another 3-4 miles the road was actually fully dry. When I got to Joplin, my hosts said they tracked the system on radar and in the news three touchdowns of small tornados were indeed reported. After my last workshop in Albuquerque, New Mexico, I wanted to drive slowly through northeastern AZ and make some plates there, but once again the wind was not on my side. Weather report called for gusts up to 55 miles per hour and I was much too tired of dealing with the elements, so to finish off my trip I did the same thing as to kick it off – drove straight through the night, making it from ABQ to San Diego in 12 hours, including a stop for food and two refueling pit stops. Next two weeks will be spent frantically preparing for a trip to European Collodion Weekend, which is held in Luxembourg on May 10-13th. Very much looking forward to meeting all the folks I've known online for a while and of course new faces, plus I'll be shooting the entire time I'm in Europe, so watch for the blog post about that trip in a bout a month or so.